Killarney Intro EVENING course in May Dates: Tuesday 7th May to Tuesday 4th June Times: 7 pm – 8.30 pm Venue: John Paul 11 Pastoral Centre, Rock Road, Killarney Cost: € 90 Booking details: Please note, these courses fill quickly and your space can only be guaranteed upon receipt of a deposit of €30. Payment can be made directly here by STRIPE…simply insert your credit card details. These will not be stored and you will receive an automatic receipt. MAKE SECURE PAYMENT HERE. Alternatively, you are welcome to forward your payment by cheque or money order to Susan at Camp, Tralee. If you would prefer to make a bank transfer, just drop me an email and I’d be happy to send you bank details. Tralee Intro MORNING course in May Dates: Thursday 2nd May to Thursday 30th May Times: 10.30 am – 12 noon Venue: St. Brendan’s Pastoral Centre, Upper Rock Street, Tralee Cost: € 90 Booking details: Please note, these courses fill quickly and your space can only be guaranteed upon receipt of a deposit of €30. Payment can be made directly here by STRIPE…simply insert your credit card details. These will not be stored and you will receive an automatic receipt. MAKE SECURE PAYMENT HERE. Alternatively, you are welcome to forward your payment by cheque or money order to Susan at Camp, Tralee. If you would prefer to make a bank transfer, just drop me an email and I’d be happy to send you bank details. Listowel Intro EVENING course in May Dates: Wednesday 8th May to Wednesday 29th May (Please note, this 4 week course will begin a week later than previously advertised) Times: 7 pm – 8.30 pm Venue: Listowel Arms Hotel, The Square, Listowel Cost: € 75 Booking details: Please note, these courses fill quickly and your space can only be guaranteed upon receipt of a deposit of €30. Payment can be made directly here by STRIPE…simply insert your credit card details. These will not be stored and you will receive an automatic receipt. MAKE SECURE PAYMENT HERE. Alternatively, you are welcome to forward your payment by cheque or money order to Susan at Camp, Tralee. If you would prefer to make a bank transfer, just drop me an email and I’d be happy to send you bank details. Such a pleasure to be holding the current course in the lovely Baile Mhuire Day Care Centre. It was beautifully decorated for us all for Valentine’s day! What to expect on this course: Introductory courses provide an opportunity to learn about Mindfulness in a relaxed and supported way….classes run for one session per week for an hour and a half for 5 weeks. Each session is practical with a focus on developing your own mindfulness skills and practice that will assist you in everyday life….. Course Outline: The skill of mindfulness is taught through formal and informal mindfulness practices. Formal mindfulness meditation practices are introduced during this course and include mindful breathing and sitting meditation, guided body scan meditation, and gentle movement. The course includes a 20 min guided CD. Informal mindfulness practices are also introduced as a support to integrating mindfulness into daily life. While the programme provides an overview of the philosophical underpinnings of mindfulness, much of the content is practical. Because of the experiential nature of mindfulness, participants are encouraged and supported to undertake short home practices between classes. During classes, there are opportunities for group dialogue and the chance to discuss participants’ experience of home practice and to examine skilful ways of dealing with challenges arising. While classes are designed to support participants to bring awareness to the present moment, they are not intended to involve group therapy. Who is the “Introduction to Mindfulness” course suitable for? 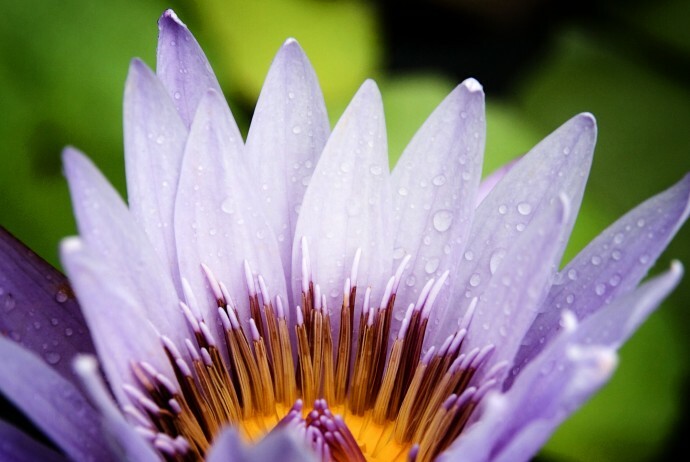 This course is suitable for those who are completely new to mindfulness practice as well as those who are already familiar with mindfulness and wish to deepen their practice with the support of a group. A new schedule of workshops has been organised for early 2019. Please see details below. 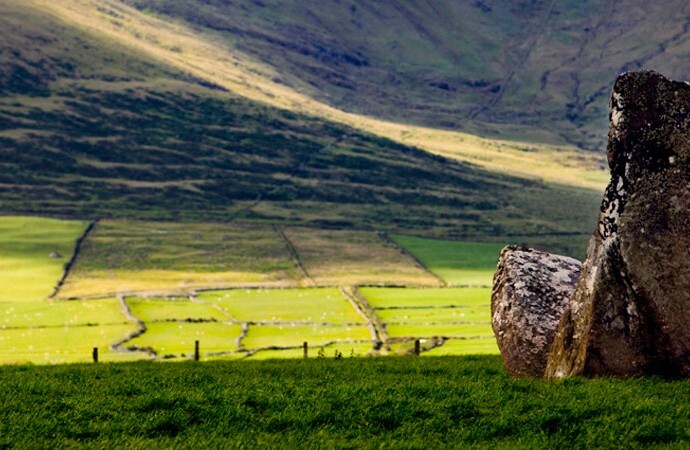 Tralee – Mindfulness Taster Sunday Morning Session Please keep an eye on this page for details of upcoming workshops. You might also like to consider one of the upcoming Introduction to Mindfulness courses beginning in May. Full details here Alternatively, you’re welcome to drop Susan a line here expressing your interest in a workshop. 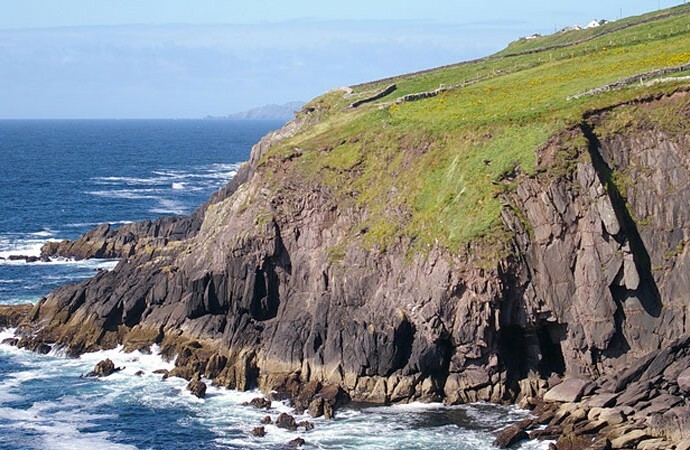 Killarney – Cultivating Awareness in Nature Workshop New Development! Cultivating Awareness in Nature Workshop This workshop day will take place in KILLARNEY where we will spend the day in reflection, immersed in the magnificent surrounds of our National Park. We plan to spend most of the day outdoors but will have contingency plans should the weather challenge us! DATE: SATURDAY 25th MAY 2019 TIMES: 10.30 am- 5 pm This workshop will be jointly facilitated by Susan and John Cummins. Details of John’s qualifications and experience can be found here. More details to follow but if you would like to provisionally reserve a space on this workshop, please contact Susan on this link. Who are these workshops/taster sessions suitable for? If you are a beginner, these half-day practical and informative workshops/taster sessions will introduce you to the theory, principles and practices of Mindfulness. Information on follow-on courses will be available at each workshop. If you already have experience of Mindfulness, these workshops will provide great opportunities to refresh your practice, get yourself back on track and meet up again with other like-minded people. The workshops will provide a little bit of calm, allowing you to establish an intention of self-care. Booking and advance payment for each workshop is essential. Please get in touch if you would like to be added to the mailing list and notified directly of upcoming workshops…… enquire here or feel free to contact Susan on 087 2838171. 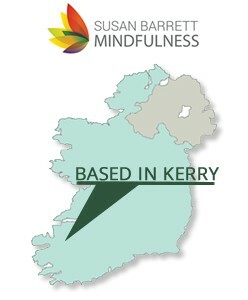 Also, if you would like to consider taking part in either the Introduction to Mindfulness course in Tralee beginning in February or the the Mindfulness Based Stress Reduction course beginning in Killarney in late January, please feel free to get in touch directly here. You are also most welcome to contact Susan on 087 2838171 if you would like to discuss which course might best suit you . For those of you who would like to refresh your mindfulness practice during Spring/ Early Summer 2019, there are a few options to choose from: New Development! 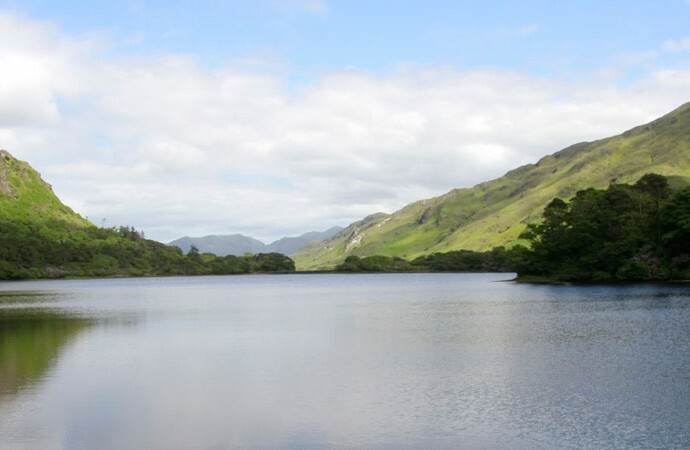 Cultivating Awareness in Nature Workshop This workshop day will take place in KILLARNEY where we will spend the day in reflection, immersed in the magnificent surrounds of our National Park. We plan to spend most of the day outdoors but will have contingency plans should the weather challenge us! DATE: SATURDAY 25th MAY 2019 TIMES: 10.30 am- 5 pm This workshop will be jointly facilitated by Susan and John Cummins. Details of John’s qualifications and experience can be found here. More details to follow but if you would like to provisionally reserve a space on this workshop, please contact Susan on this link. You might like to consider taking part in one of the Introduction to Mindfulness courses taking place in May. Choose from an evening course in Killarney or Listowel or a morning course in Tralee. Lots of people repeat this course and find that it supports them in integrating mindfulness more easily into daily life. More info here I plan to offer again a special practice day for past participants of the MBSR course focusing on the psychology and philosophy underlying the curriculum of the Mindfulness Based Stress Reduction programme. Please keep an eye on this page for confirmation of the date or email me here if you’d like to be reminded. Those of you who have already taken part in the Mindfulness Based Stress (MBSR) programme may know that as well as emerging from the areas of stress psychology and physiology and neuroscience, the foundation of the Mindfulness Based Stress (MBSR) is based on core teachings from Buddhist philosophy. These teachings are still very much current and relevant to our everyday lives. In fact, some would say that the Buddha was a the forerunner in the understanding and development of cognitive behavioural therapy! This special day will present some of these teachings in a practical and accessible way. We will consider questions such as: What causes suffering in our lives? What prevents us from being happy and contented? How can these teachings support us in dealing with the challenges and stresses of our daily lives? The day will include a presentation, guided reflections, group discussion and also…… plenty of practice. Looking ahead to the Autumn…..Next practice day for past participants of the MBSR course will be on: Sunday 20th October in Baile Mhuire Day Care Centre, Balloonagh, Tralee 10.30 am – 4.30 pm. I’d really encourage you to take part in this mostly silent day as it can give your own practice a great boost. Join current MBSR participants for this day of silent practice. The day will include a range of practices including body can, mindful movement, awareness of breathing and loving kindness. This day is offered on a donation basis only but booking is essential. Please email me or text me on 087 2838171 if you’d like to take part. Mindful Nourishment – bringing awareness to cooking and enjoying your food. 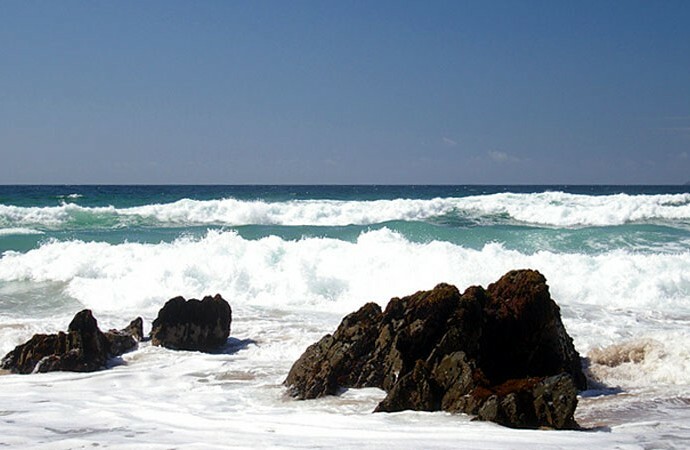 Plans are afoot to bring you a special retreat experience…..WATCH THIS SPACE!! Also, please feel free to contact me if I can support you in any way in developing or maintaining your practice…….or give me a ring on 087 2838171. I’d be really delighted to hear from you! The skill of mindfulness is taught through formal and informal mindfulness practices. Formal mindfulness meditation practices are introduced during this course and include mindful breathing and sitting meditation, guided body scan meditation, and gentle movement. The Mindfulness-Based Stress Reduction Programme (MBSR) was developed in 1979 at the University of Massachusetts Medical Centre (UMass) by Dr. Jon Kabat-Zinn. This 8 week programme was initially designed to support participants to respond more effectively to stress, pain and illness. Mindfulness sessions can be tailored to suit the needs of your organisation’s team or staff grouping. These can include a one-off introductory session or a short course including 5 or 6 sessions.